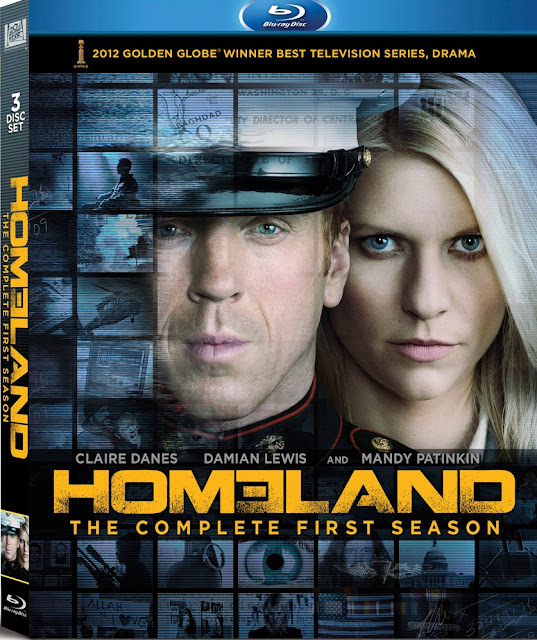 Hailed as TV’s best new drama by critics everywhere, the award-winning Homeland delivers compelling characters, thrilling twists and breathtaking suspense. Carrie Mathison (Golden Globe winner Claire Danes), a brilliant but volatile CIA agent, suspects that a rescued American POW may not be what he seems. Is Marine Sgt. Nicholas Brody (Damian Lewis) a war hero...or an Al Qaeda sleeper agent plotting a spectacular terrorist attack on U.S. soil? Following her instincts, Mathison will risk everything to uncover the truth — her reputation, her career and even her sanity. Packed with multiple layers and hidden clues, Season One offers something new every time you see it...watch carefully. With the wars in Iraq and Afghanistan, our service personnel who participate in those conflicts are put into harms way and some are killed, some return safely, and some are captured. In the case of Sgt. Nicholas Brody (Damian Lewis) and his sniper team partner Tom Walker (Chris Chalk), they are captured by enemy forces and brought to al-Qaeda leader Abu Nazir (Navid Negahban). They are tortured physically and mentally and Brody is eventually forced to kill Walker to save his own life. Or did her? 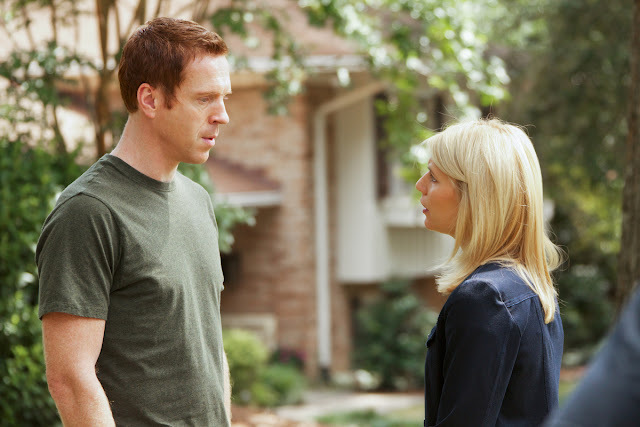 With a show like Homeland, you never really know what happened since there's a lot of twists and turns and flashbacks that constantly keeps changing what you thought happened. Eight long years in captivity pass for Brody before his is rescued from his captors by Navy Seals. He is returned home to a hero's welcome by everyone except for a lone CIA agent called Carrie Mathison (Clare Danes) who is suspicious about the circumstances of the rescue. Carrie wants to know why Brody was kept alive for eight years and because she was warned by an informant earlier that an American who had been "turned" would be returning home a sleeper agent for al-Qaeda. Since no one else is worried or interested in her suspicions, Carrie decides to put Brody under unauthorized surveillance. She hires her old friend Virgil (David Marciano) to install and later monitor hidden cameras in Brody's home. Watching Brody return home to his family mentally and physically scarred to try to pick up the pieces, is just as hard for the audience as it is for Carrie and Virgil. Brody is moody and unpredictable and just as likely to punch a cameraman as he is to smile. He is a live wire which unsettles his watchers and his family, but most of all his wife Jessica (Monica Baccarin) who tries to reconnect with her husband through intimacy, but is cruelly humiliated by him for some unknown reason. Brody seems to be two different people - the loving husband and father he was before he left - and someone else who is much darker and violent. It doesn't help that after eight years had passed, Jessica finally believed that he was dead and had moved on with her life with Brody's best friend Mike (Diego Klattenhoff), a fact that will inevitably be discovered by Brody. 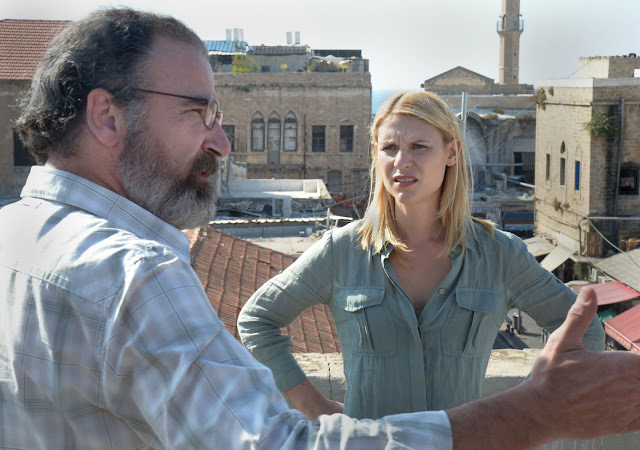 When Jessica's fears about Brody possibly being the terrorist she warned about are seemingly becoming a reality based on Brody's actions and occasional lies to his wife, Carrie decided to confide in her mentor Saul (Mandy Patinkin) who is furious that she covertly watched Brody against his wishes. Saul wants to turn Carrie over to the authorities for her unsanctioned surveillance, but the evidence that she's found of Brody's lying to his wife and his odd behavior change his mind. Saul joins in the investigation and they join in on Brody's CIA debriefing where the audience is witness to Brody's flashbacks during the interrogation which show he is lying to them. Not everyone in the CIA believes that Brody is a threat, including Carrie's boss David Estes (David Harewood) who is still unhappy with Carrie's last performance in the field. With his immense popularity with the public, the Vice-President and his staff believe that Brody has what it takes to become a Congressman which will either allow him to make a difference as he professes, or it will put him in the perfect place to make his attack if he is truly a terrorist. Homeland was created by two of the guys behind 24 and this show retains the previous show's topicality and intrigue although I do miss Jack Bauer. Instead of the the non-stop action and the ticking time clock that characterized 24, this show is more of a slow-burn, as it cleverly sets up the house of cards and removes them one by one. Is Brody a terrorist and if he is, is he against all of America or just focused on a specific target? Is Carrie right about Brody or is her suspicion a result of her bi-polar condition that she is hiding from Saul and her employers at the CIA? It doesn't help that Carrie isn't that good at taking her medication which makes her frantic and excitable. 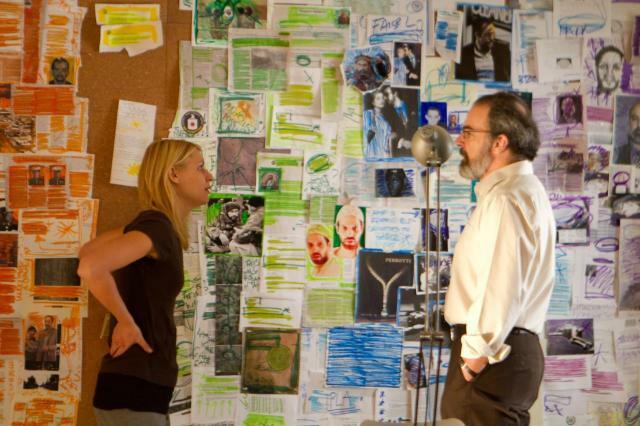 Homeland is a very smartly written show that keeps your attention even during some slower episodes. The main credit of the show's success is the actors that have been cast in this who all do a fantastic job. Hiring Damian Lewis to play Brody was a masterful choice since not only is he a great actor, but the show-runners cagily know that there is still a lot of goodwill towards Lewis for his incredible performance in Band of Brothers. Claire Danes also does a good job as Carrie but I found her character to be annoying to spend time with because she is too much of a one note character and just wears you down (mostly because of her believable performance as a bi-polar person off her meds). Mandy Patinkin is amazing as Saul and I think this is the best performance I've seen of his (although I will always love his Inigo Montoya from The Princess Bride). Saul is a great character who is the resident genius at the CIA, but at the cost of his personal life as his wife wants to leave him. Saul is torn between his job, his wife, and his concern for Carrie whom he has mentored for years. These characters are well developed which adds a lot to the show as we may root for different characters at different times. The show delivers the intrigue in spades, but it also smartly gives us characters that we care about which keeps viewers hooked to see what happens. This 1080p (1.78:1) transfer looks very good but it doesn't quite hit reference quality. There is a lot of fine detail on display that's impressive. Colors are well-defined and vibrant, but the overall look of the show is fairly dark so the color palette in general is pretty drab. Flesh tones look natural and consistent throughout the show and black levels are suitably dark and solid. The flashback scenes look a lot different with a boost of contrast, but that and the handheld filming style are creative choices and not a problem with the transfer. I didn't really notice any defect of digital defects to detract from the picture. This is a very nice looking show in high definition! 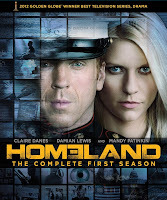 Homeland's DTS-HD Master Audio 5.1 mix is also very good and it does a nice job delivering what the show asks of it. This show's range is very wide as the scenes could go from a whisper to some loud rock music that's being used to break someone down for interrogation. There's also flashback scenes of combat in the Middle East, a terrorist bombing that rocks the room, and some of the bustling everyday office at the CIA headquarters. This is a very atmospheric mix that adds a lot of immersion with some excellent ambiance that is always present. The music by Sean Callery (who also did the music for 24), is also always there although it comes and goes to the forefront depending on what's going on. This is a solid mix that does what it needs to do. There's not a lot of extras for this show which is disappointing, but what is here is for the most part pretty good. They are all in high definition as well. 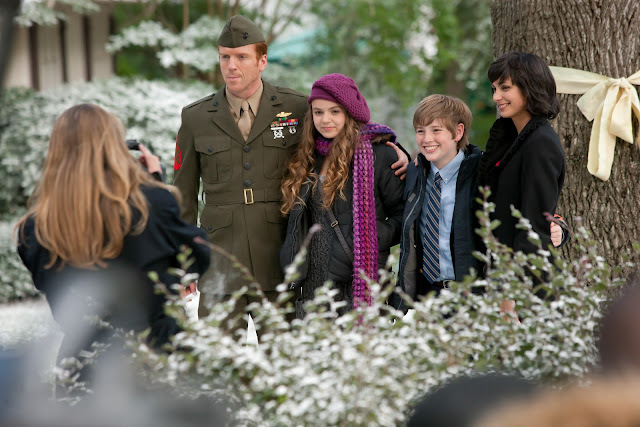 Commentary on Pilot - Unfortunately, there's only one commentary track for this season, but it's a good one with Clair Danes, Damian Lewis, Howard Gordon and Alex Gansa. They talk about how they approached the pilot and what they were trying to accomplish and they offer a lot of good info including the fact that the opening scenes were actually filmed in Israel and not some back-lot. Deleted Scenes - Each disc has a selection of deleted scenes that were removed for a variety of reasons. Week Ten - Prologue to Season Two - A short scene that appears to take place after the events of the first season which really doesn't amount to much because of the way it was written. It's kind of pointless really. Homeland Season One: Under Surveillance - This is the best extra on the set as it's a half an hour look into the development of the show. We hear about how the show came together, the writing, casting, the characters, and more. There's also a lot of interviews with the cast and crew of the show who offer their thoughts as well. This is a great psychological thriller of a show that's filled with interesting characters that are portrayed expertly by some fine actors. The writing is excellent and the show will keep you coming back for more with its intriguing story-lines. This Blu-ray set offers some very good audio and visual quality although I wish more time had been spent on adding more extras to the set. In any case, this set is highly recommended!